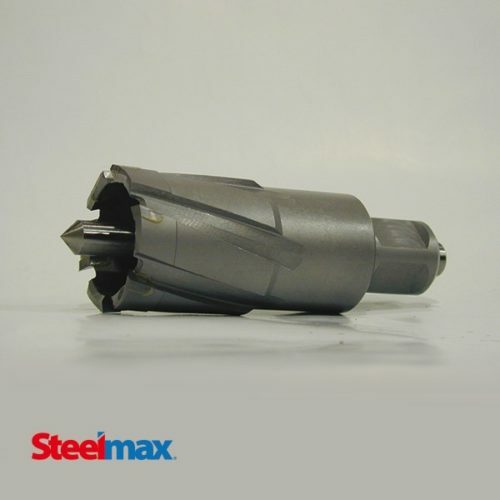 Steelmax HSS cutters utilize an M2Al (aluminum additive) formulation which increases cutter life due to better heat propagation characteristics and a less brittle character compared to other M2 formulations, such as those using a cobalt additive. 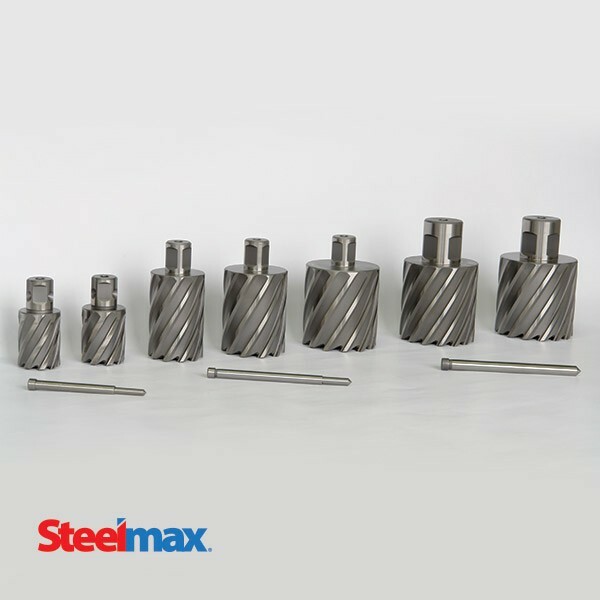 HSS cutters are most cost effective for mild steel applications and holes up to 2-3/8″ in diameter in material up to 2″ thick. 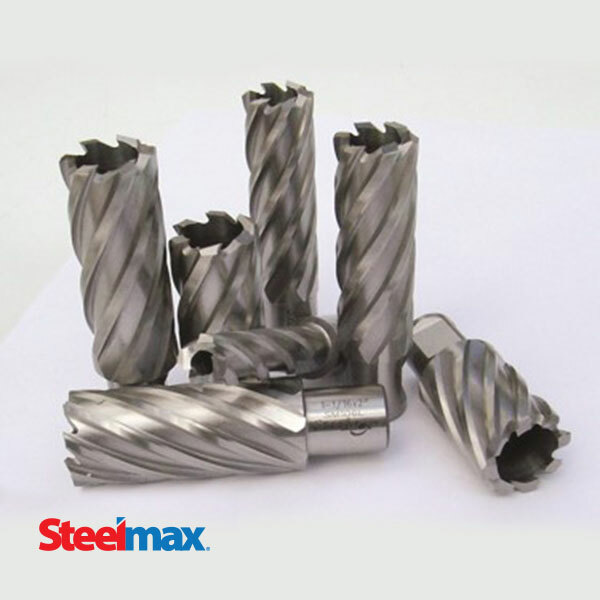 HSS annular cutters can be re-sharpened to extend cutter life. 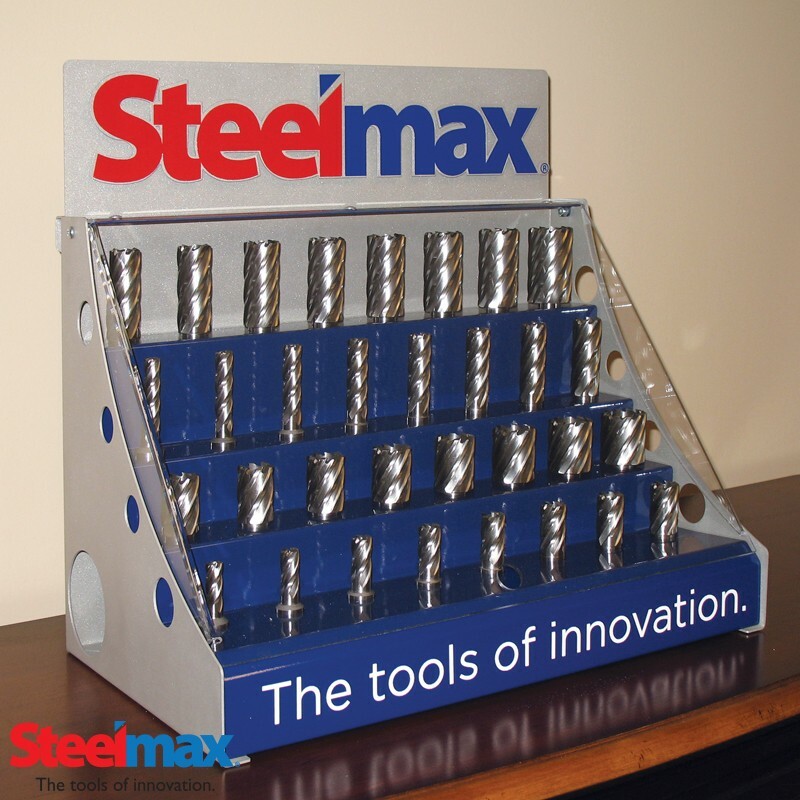 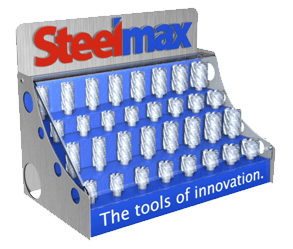 All Steelmax cutters ship with a pilot pin installed at no extra charge.